I will drink iced tea just about any way I can get it. Seriously – I know no boundaries. I usually prefer it unsweetened, but never fault anyone for preferring it on this sweeter side. I've had southern sweet tea, my friends, and I get it. My favorite way to prepare it, however, is with regular tea bags and a hint of herbal flavor. Like, for example, raspberry. 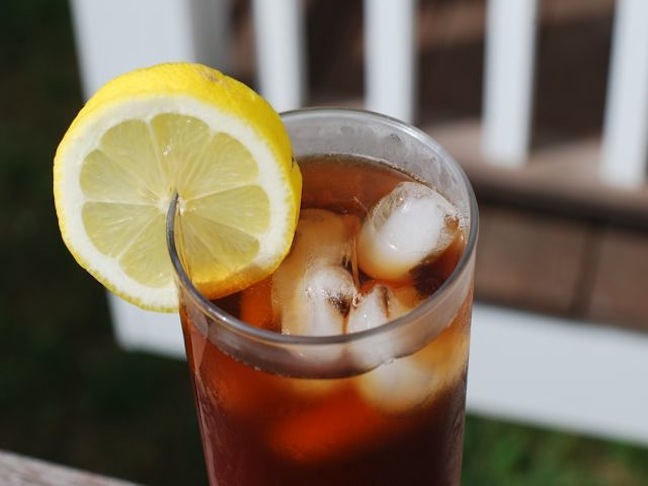 Then I pour it over lots of ice cubes, garnish it with a huge lemon slice or two and my favorite summer drink is ready! Here is how I like to make this simple raspberry version. Step 1. Clip the tea bags to the side of the pitcher and pour in enough boiling water to reach the top of the pitcher and cover the tea bags. Step 2: Allow the tea to steep for at least 20 minutes. Then remove the tea bags and place the pitcher in the refrigerator. When cooled serve over ice with a garnish of lemon.